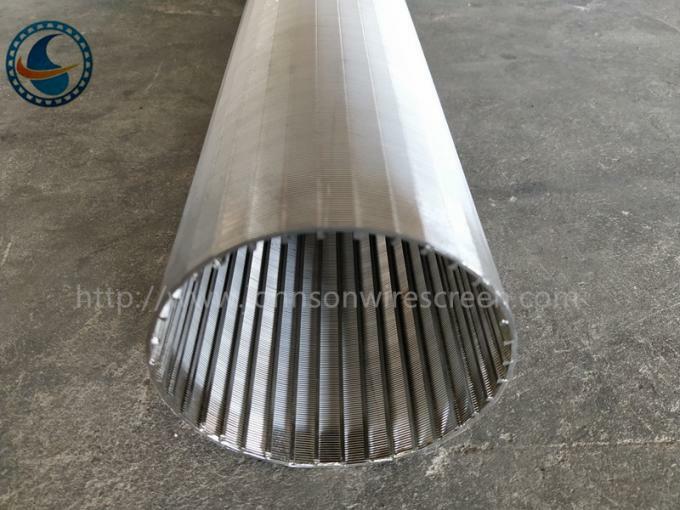 This type of wedge wire well screen has a re-rolled construction. 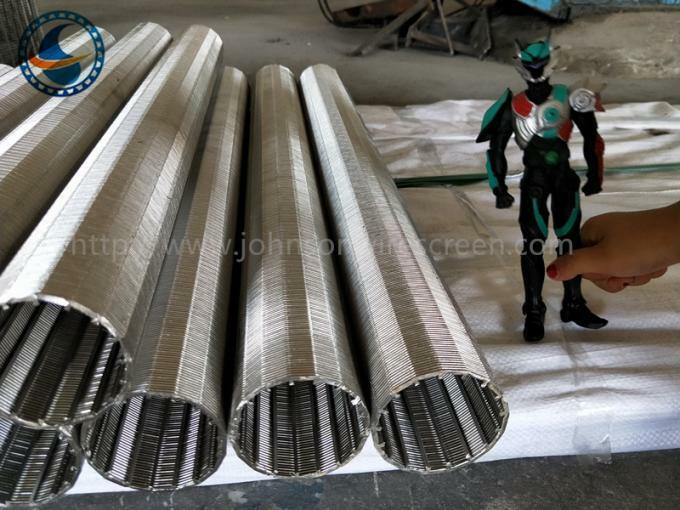 The spacing or gap between the support rod is precise. 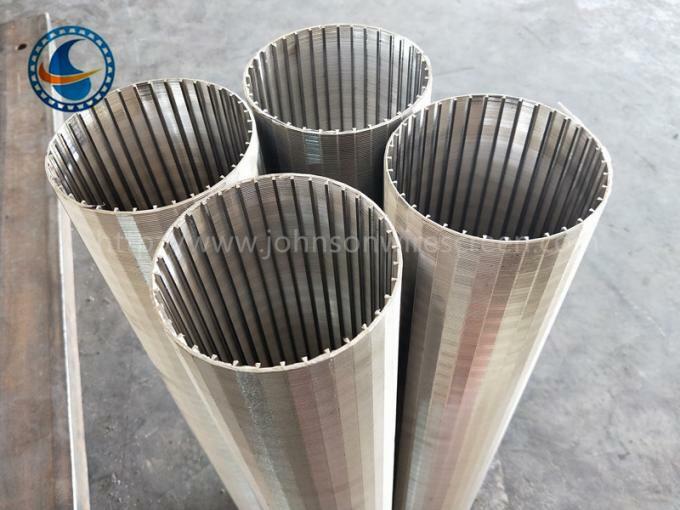 The sizes of the wire diameter and the rod depend on the depth of the well. 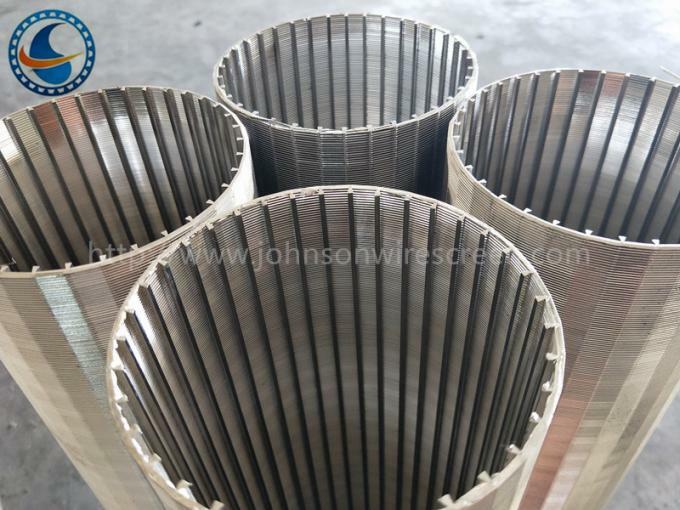 The wire is v shaped wire, the support rod can be round, triangle shape. 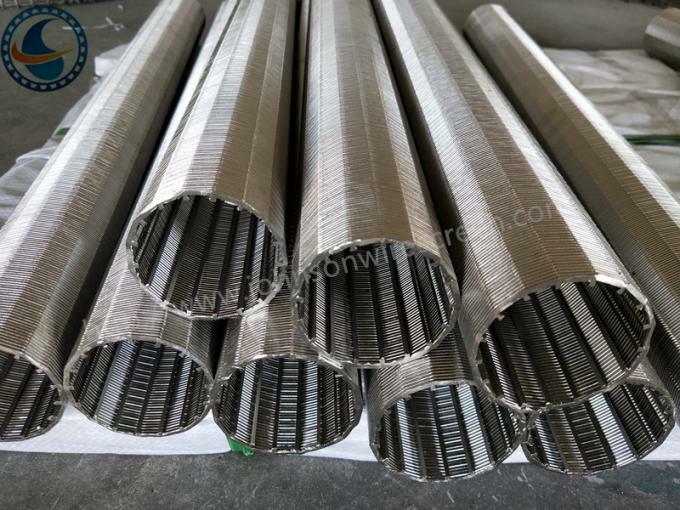 Slot: 0.02mm, 0.1mm, 0.25mm, 0.5mm, 0.75mm, 1.00mm. 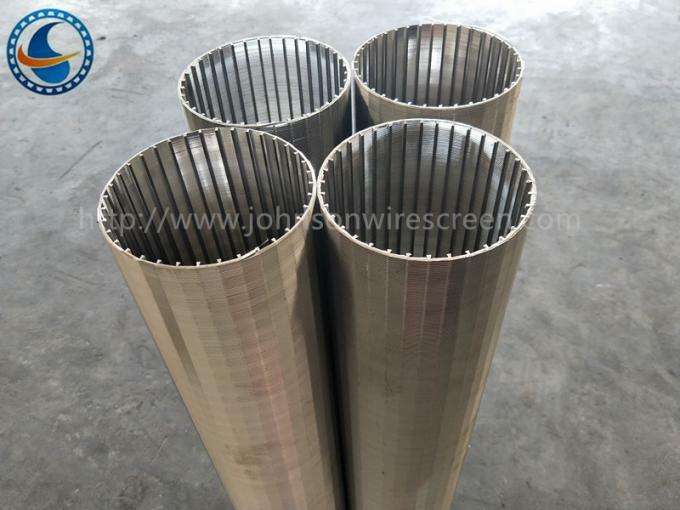 Rewind rolled wedeg wire screen materials is stainless steel. The wire will wrap to the support rod round and round under the control of the automatic machine. 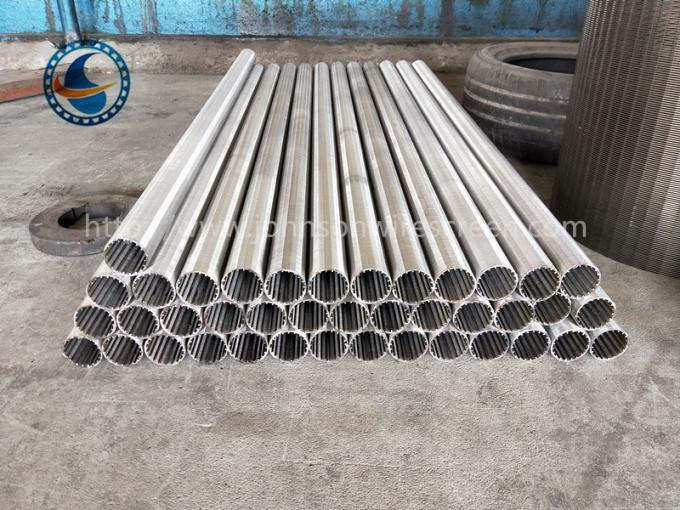 The well screen's OD outside diameter is decided by the ID of the well and the casing pipe. 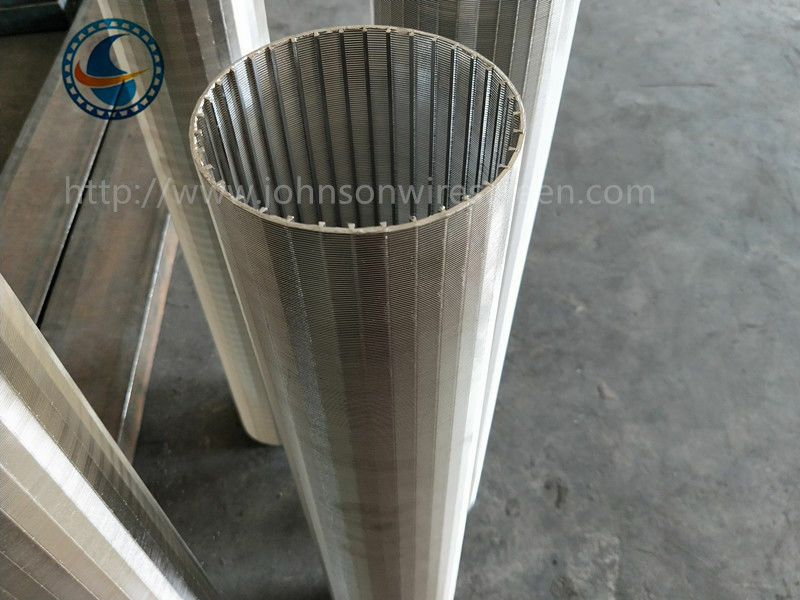 The unit length of the rewind rolled wedge wire screen can be 1m,2m or other length.